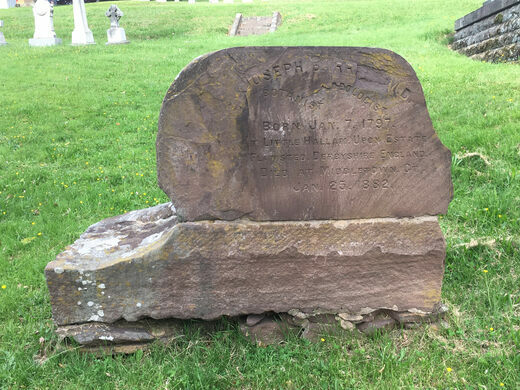 Dr. Joseph Barratt was an eccentric polymath who lived in Middletown, Connecticut, in the mid-1800s. 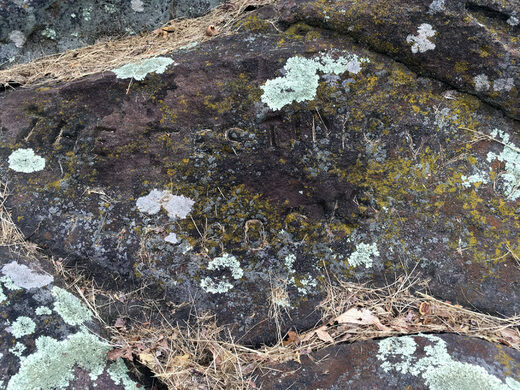 Though Barratt’s main vocation was medicine, he had many, many other passions like botany, geology, natural history, paleontology, and Native American languages. The Connecticut Valley, where Barratt lived, is famous in the paleontological world for its abundance of fossilized Triassic- and Jurassic-era trackways left by dinosaurs and other prehistoric animals. When these tracks were brought to the attention of the scientific community in the 19th century, Barratt developed a strong fascination with them that would endure for the rest of his life. He collected specimens from local sandstone quarries, sending several of them to Professor Edward Hitchcock of Amherst College, the foremost expert on Connecticut Valley fossil footprints at the time. Barratt developed some rather unusual ideas about the identity of the trackmakers, believing them to have been archaic four-toed humans. It’s worth noting that in the mid-19th century it was not known exactly what animals had created the tracks, and many scientists—including Hitchcock—speculated they may have been left by giant frogs, marsupials, crocodiles, or flightless birds. Yet even among these oddities, Barratt’s “Homo tetradactylus” theory seemed outlandish. Barratt became increasingly eccentric later in life. His apartment came to resemble what one friend described as a “wizard’s laboratory” packed with minerals, rocks, fossils, books, articulated skeletons, taxidermied birds, pressed leaves, preserved brains in jars, and other natural curiosities. Eventually, Barratt’s mental health deteriorated to the point that he was sent to an institution, where he died in 1882. 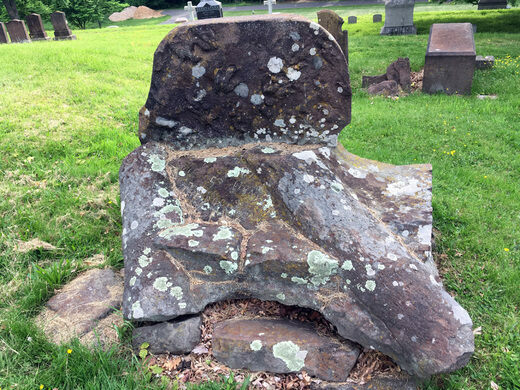 To celebrate Barratt’s scientific curiosity and acknowledge his contributions to paleontology, his friends collected two slabs of sandstone from a nearby quarry to serve as his grave marker. 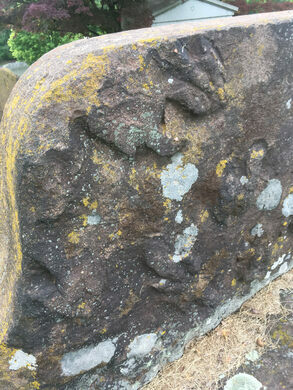 The vertical stone, upon which Barratt’s name is chiseled, bears several dinosaur tracks on the back. The second slab, upon which the first rests, bears the fossil casts of two Jurassic-era tree stumps along with the inscription “The Testimony of the Rocks,” the title of a book by Hugh Miller, a Scottish geologist who was immensely influential at the time. Barratt's grave is located halfway up the western side of the large hill that gives the cemetery its name. This petite park lets visitors see and touch examples of fossilized dinosaur tracks.